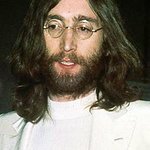 The easy connection of “imagination” to John Lennon, due to his famous song, Imagine, made him a perfect candidate for One Laptop Per Child's campaign to provide every child in the developing world with a laptop – except that Lennon was killed nearly 30 years ago. However, through digitalization, a youthful image of the songwriter has been on television since Christmas with his message. That these laptops will act as “a springboard into [children’s] future,” digital-John’s message echoes Negroponte: Give a laptop, change the world.